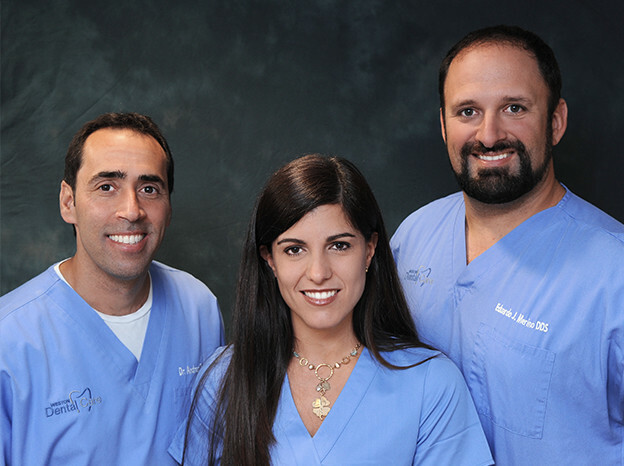 At Weston Dental Care, our primary commitment is to patient care. Our dentistry staff listens to the desires and concerns of patients in order to recommend the appropriate course of treatment in a relaxed environment. We make sure to schedule a generous amount of time for each appointment, so patients receive the professionalism and care they deserve. Our goal is to provide exceptional care through general, implant and cosmetic dentistry to enhance the quality of your life. If you’re feeling a bit uneasy, Weston Dental Care offers local anesthesia, oral sedation, or nitrous oxide to enable you to get the dental care you need without any distress or discomfort. Sedation dentistry is completely safe and totally effective: As waves of tranquility wash over you, the only thing you’ll feel is calm. Once the sedative has taken effect, we’ll apply a local anesthetic to temporarily block the nerves in the area of your mouth being worked on. While you are sedated, time passes by quickly – Even a complex procedure that can last for hours only seems to take a few minutes. We create for our patients an experience that is free of anxiety and pain. It is important to remember that you will be sedated but not asleep. Even though you’ll be fully awake and alert during the procedure, you’ll remember little if anything about it afterwards. We understand getting dental treatment might be stressful and will help to make your anxiety melt away. Our office uses state-of-the-art sterilization techniques, such as autoclaves, to maintain strict standards of hygiene. All instruments used during treatment are first washed in the ultrasonic machine and then sterilized in an autoclave that utilizes steam at a very high heat and applies pressure to kill all microorganisms. We take patient safety very seriously! and offer financing through CareCredit. To learn more about our patient financing options or dental insurance information, we invite you to call our office. Our friendly dentists and team will be happy to discuss the financing options available to you. Contact our office at (954) 389-1212 for more information. It is our belief that the practice of general dentistry and training received in dental school can hardly be sufficient to practice in today’s rapidly changing environment. All our doctors at WDC are specialists with advanced degrees, knowledge and skills in each of their fields. This insures that your dental care, whether general care, a cosmetic need or to provide health-related treatments, is performed by someone you can trust and who has the experience necessary to get it right the first time. From routine check-ups to cleanings and whitening to full mouth makeovers and rehabilitation, you can receive all your treatments in one office. call us at (954) 389-1212 or simply click the button below. © 2019 Weston Dental. All rights reserved.